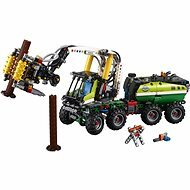 Building Kit LEGO Technic 42072 WHACK! 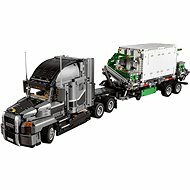 LEGO Technic kits are designed for all machine and technology enthusiasts and allow for the development of more advanced models with more complex moving parts. They are therefore designed especially for experienced builders and lovers of technical models. LEGO Technic kits are designed for all machine and technology enthusiasts and allow for the development of more advanced models with more complex moving parts. They are therefore designed especially for experienced builders and lovers of technical models. The LEGO Technic series is characterized by precise processing of even the smallest detail and high functionality and mobility of the models. A great advantage of LEGO Technic is the ability to rebuild individual models in other, thematically similar machines. The LEGO kit develops creativity, fine motorics and children's imagination and is one of the most popular children's games. Enjoy an adventure tour in the Extreme Adventure off-road vehicle. This is a 2-in-1 model, which means you can easily convert it to another amazing machine - Mobile Vehicle. Extreme Adventure features four terrain belts, functional suspension, a real winch, front steering and many other exciting features - moving legs, an integrated roof tent with adjustable crank, a luggage compartment door or a sliding storage rack with a shovel. The powerful V8 engine has movable pistons. There is a side opening box with a car and two fire extinguishers, a roof rack with two dark green oil cans and yellow, black and purple colour motifs with decorative stickers. Roof rack with two canisters in dark green colour. 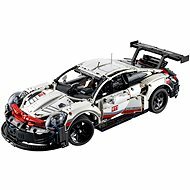 For shipping to other EU countries visit this page LEGO Technic 42069 Extreme Adventure. Für Versand nach Deutschland, besuchen Sie bitte LEGO Technic 42069 Extremgeländefahrzeug. Chcete doručit zboží do Česka? Prohlédněte si LEGO Technic 42069 Extrémní dobrodružství. Chcete doručiť tovar na Slovensko? Prezrite si LEGO Technic 42069 Extrémne dobrodružstvo. Für Versand nach Österreich, besuchen Sie bitte LEGO Technic 42069 Extremgeländefahrzeug. Magyarországra történő kiszállításért tekintse meg ezt a termékoldalt: 42069 - LEGO Technic - Extrém kaland.